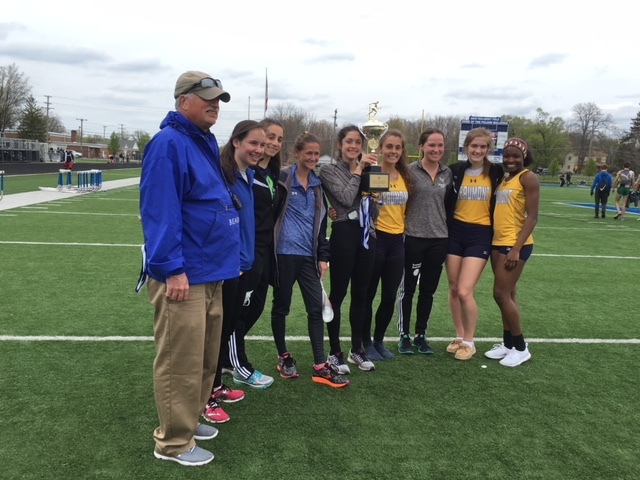 The competition was brisk at the 21st Poland Invitational as athletes from all three divisions with a mind on the state track meet competed. 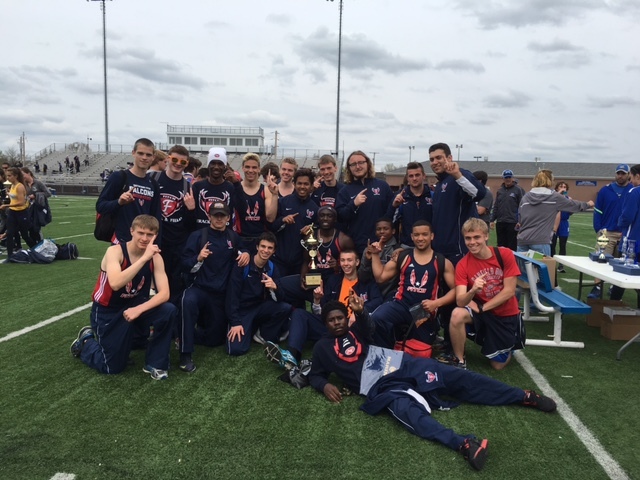 The team championship trophies went to Beaumont girls and the Austintown Fitch Falcon boys. 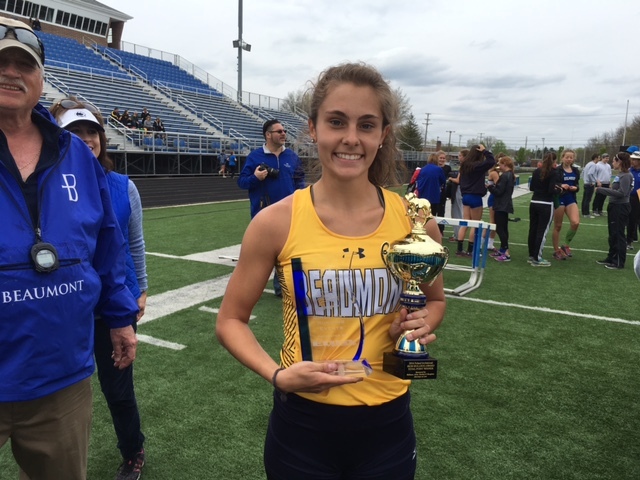 Beaumont was led by Mia Cannata who had 4 first place finishes, the 100, 200, 4×100 and 4×200 meter relays. She came away with the Iron Bulldog award (most points scored in the meet) and the girls MVP running. The Beaumont girls scored 86 points win the meet. Gilmour Academy was 2nd with 74 points. Gilmour got a double win from Katie Engle who won the 1600(5:09.17) and 3200 (11:10.16). RebaBartram of Beaumont won the 400 (59.32). 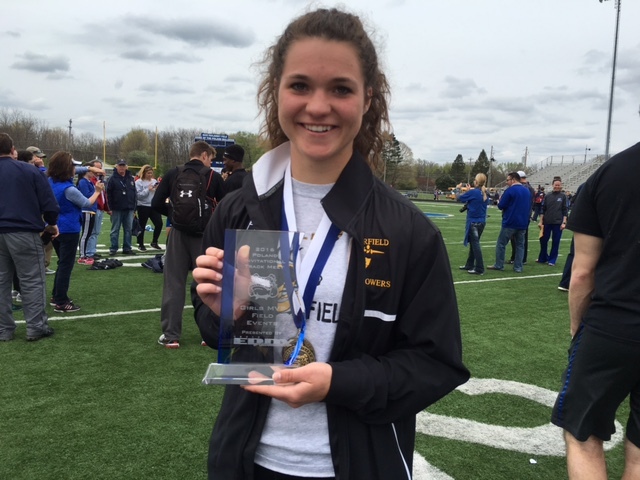 Lauren Jones of Garrettsville Garfield was the girls field MVP. Lauren set the meet record in the discus with a throw of 157′ 8″. This is the best throw in Ohio any division as of this date according to Milesplit. She also won the shot put with a throw of 40′ 6″. She placed 5th in the high jump as well. Collin Harden of Girard was the boys running MVP and the Iron Bulldog winner. It almost didn’t happen as he misjudged the first hurdle in the 300 hurdle race semi-final. He got up and passed the field to finish first in that heat. 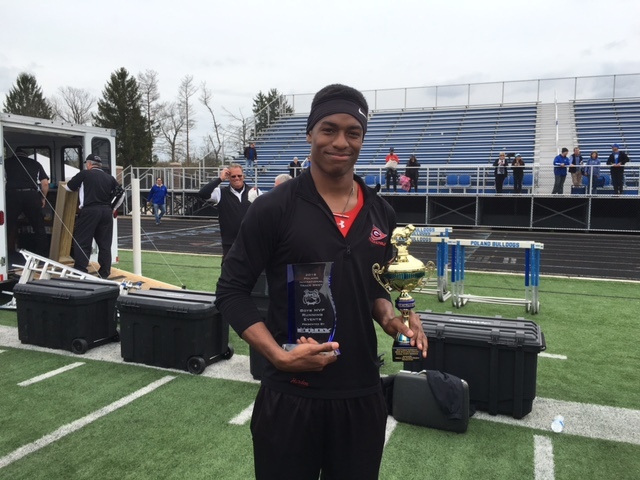 He won both hurdle races, the 110H (14.81), .09 seconds ahead of Thomas Morris of Warrensville Hts. (14.90). In a very close 100 hurdle race Emily Marsico of Girard (15.36)nipped by .04 seconds Courtney Cyrus of Springfield (15.40). Marsico (47.25) was 2nd to Sara Foster (46.11) of St Vincent St Mary in the 300 hurdle race. 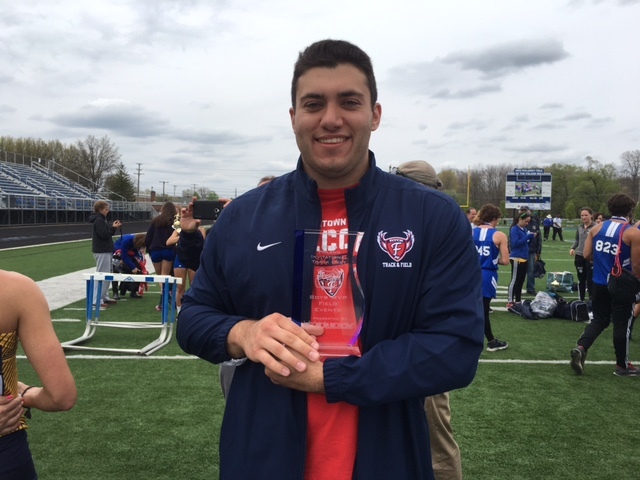 Austintown Fitch’s Logan Kusky won the field MVP award winning the shot put (56′ 2″) and placing 3rd in the discus (172′ 2″). Andrew Hallof of Canfield won the discus with a throw of 184′ 4″).